Everyone loves music. We listen to it in the car, at work, while we run. We take music with us everywhere. Except in our homes. Why is that? Our feeling at The Sound Vision is that people generally don’t listen to music at home because it hasn’t been easy. Until now. At The Sound Vision, we install whole-house audio systems that are easy to use, give you the ability to stream your favorite music services, and control them with your smart phone or tablet. Start with a few rooms, or fill every room with music, it’s all up to you. With The Sound Visions great speaker selection, we can place speakers throughout your home and outdoor living areas discretely. Maintaining the aesthetics of your home is of utmost importance to us. The choices of speakers can be mind-boggling. 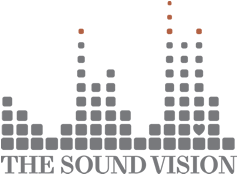 Your Sound Vision expert will act as your guide, helping you make the right decision for your home and your listening needs. Will in-wall speakers fill your needs, or maybe go up in the ceiling with your speakers? Whatever you decide, rest assured your speakers will sound great. We only carry the best and respected speakers in the industry. What if we could design and install a whole house audio system that you could easily control with the smartphone that’s in your pocket right now? Ditch the confusing remote controls, you’ll have an app that’s completely customized for you and your home. Now, your favorite music is always within reach. Pick A Song, Any Song. Rock in one room, Jazz in another, and a Symphony in another. This is no limits listening at it’s finest. Create playlists in an instant. The Sonos app does it all.